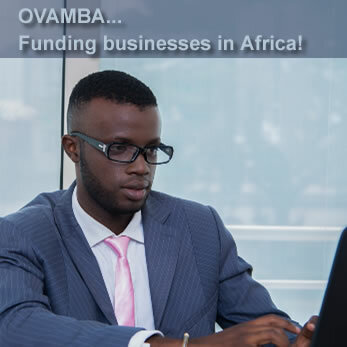 P2P Lending with OVAMBA ~ Funding businesses in Africa! →P2P Lending with OVAMBA ~ Funding businesses in Africa! In today’s business world where competition is fierce and growth is inevitable, there is always someone willing to help business owners move a step or two ahead towards achieving their golds. If you’ve been in business in Cameroon or Africa for two years and more, you stand a significant chance to benefit from OVAMBA’s P2P Lending model that’s carefully designed to solve Africa’s business funding challenges. What is P2P Lending by the way? According to Wikipedia, Peer-to-peer lending, abbreviated P2PL, is the practice of lending money to unrelated individuals, or “peers”, without going through a traditional financial intermediary such as a bank or other traditional financial institution. During the #CmrBloggersHangout last Saturday, 9th of Oactober 2015, Camer bloggers got marveled by the exciting funding facilities packaged by OVAMBA for African businesses. With an adequate knowledge and understanding of the African markets and challenges faced by business leaders, OVAMBA positions itself as the easily-reached source of funds, allowing businessmen like Mr. Triyah, CEO of TTC more time to focus on growing their businesses. What are the challenges faced by most African SMEs? What is the solution OVAMBA tables to these challenges? How does Ovamba funding opportunity work? Your company must be legally registered with tax authorities. You must have a 2 year or more business experience. You must have an existing account at financial institution where you deposit cash from your business. The business owner must be above the age of 21 and willing to provide personal guarantee for loan. Your business must NOT be in ANY following industries: Alcohol, gambling, money lending, adult entertainment, tobacco, weapons/armour, timber, primary agriculture. Once you fulfill these basic requirements, you are qualified to apply for funds (up to $600,000). However, your application has to go through an evaluation by the Ovamba credit team. Funding transactions are complete within a shorter period compared to traditional financial institutions. Ovamba is very flexible on Collateral. Let me hear from you in the comment box. Have you heard of Ovamba before? What are your thoughts on their products? Ovamba is completely new to me and I must say this is the very first time I’m reading about the company but I’m interested already, especially about the flexible nature of the company’s requirements and more importantly, it’s low rates. A quick question though: have you had course to use this service? If yes, what has been your personal experience? They are purely into funding SMEs in Africa. Though having a huge success story, they’ve been around for just 2 years. No, I haven’t personally been funded by them but in the years ahead, I think to benefit from their flexibility,rapidity and low rates. I’m glad you are on the trendy path as well. Ovamba from my perspective will fill a lot of space between MFI and Businessmen. What excited me most is the short time they take to process applications and the amount of parameters they use to give out their loans. It was a great experience listening to them as they dished out what they have for African businesses. we gonna enjoy from them if their innovation will be as we hoped. An impressive and interesting information, thanks for sharing and enjoyed to reading this article too much. An intresting article about p2pl Ovamba indeed! Actually this is totally new topic for me but very happy to read about Ovamba. It’s totally new information for me but I am happy to get new information. Thanks Enstine for sharing new information with us. Sounds pretty cool. Peer-to-peer lending has yet to take off in the US. However, with the surge of small business in the US, one could guess it may within the foreseeable future. A funding tactic that has really become mainstream is online lending platforms. Sites like Lending Club, Quick.me Financing, and OnDeck are all third party lenders that offer loans to businesses. It is a really great way to receive instant funds for your business if you are desperate for money, as these platforms can grant loans in as fast as 48 hours. However, the caveat is that they charge very high rates. But it sure beats schlepping to the bank and negotiating for hours only to get rejected.